Reverse mortgages have generated increasing attention from the mainstream media since recent policy changes transformed them into more credible and practical retirement planning tools. Some news organizations, however, have been more outspoken about these products than others. Widely circulated news outlets such as The Wall Street Journal, CNBC and Kiplinger—to name a few—have all spotlighted the newfound use of reverse mortgages in retirement strategies. But, few financial publications have been as emphatic toward the Home Equity Conversion Mortgage (HECM) product as Forbes. One of the most popular financial media organizations in the world, Forbes captures an audience readership of about 6.3 million and an estimated 46 million unique monthly visitors, according to Forbes Media data. Its vast participation of 1.75K contributors and staff writers cover topics ranging from business, investing, technology, entrepreneurship, leadership, affluent lifestyles and, for one particularly active contributor, reverse mortgages. Wade Pfau, Ph.D., professor of retirement income at The American College in Bryn Mawr, Pa., and principal at McLean Asset Management in McLean, Va., has been a frequent Forbes contributor, writing various articles on the subject of retirement planning. In the last few weeks, Pfau has been especially busy contributing reverse mortgage specific content to the publication. 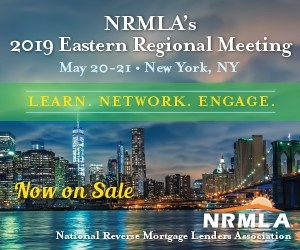 The recent flurry of articles is aimed at raising reverse mortgage awareness for both consumers as well as members of the financial planning community. Lately, Pfau’s articles have focused on a variety of reverse mortgage topics ranging from the most basic reverse mortgage requirements to more complex topics, such as cost calculations and how prospective borrowers can choose a cost package that fits best for their particular situation. While most of his columns have provided explanations about how reverse mortgages work, Pfau plans to transfer the focus of future columns toward looking at the potential uses for HECMs. This includes looking at how reverse mortgages can effectively fit into retirement income planning strategies. The line of credit option is perhaps the most popular use for reverse mortgages from a financial standpoint, but it is also one of the most misunderstood features. The series of articles Pfau has contributed to Forbes are adding up to what he plans will be a book on reverse mortgages later this year. As he continues to work diligently on future articles, a central message Pfau is trying to convey is that retirement risk amplifies investment volatility. But through the use of a reverse mortgage, he says retirees (and their planners) can build a strategy to help manage these risks. Pfau hopes that his work will enlighten others in the financial planning community who have not yet come around to accepting reverse mortgages in retirement income plans. He speculates that many planners may have done their due diligence years ago, before critical HECM program changes took effect, and never revisited the product since then. But as more retirees look for other solutions to shore up their retirements, such as home equity, more planners may begin to finally change their minds.